Why choose Crystal Clear Microdermabrasion Facial? 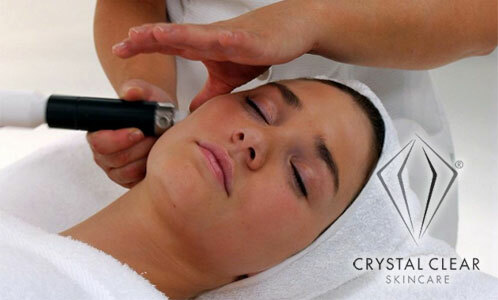 Crystal Clear Microdermabrasion Facial takes years off your complexion by gently exfoliating the outer layers of skin. Because it's a safe and controlled method of skin resurfacing, the treatment can be used to solve a wide range of skin concerns on both the face and body. Microdermabrasion provides immediate and visible results for ageing skin, lines and wrinkles, open pores, blackheads, pigmentation, blemish scars, acne scars, stretch marks and so much more. You'll see the difference after just one treatment, however for more problematic skin a course of treatments may be required. Our total skin rejuvenation treatment.